Parrot is a company that typically makes speakers, headphones and other fun gadgets. Recently however, they came out with a gadget for a very different market: the Flower Power. This device will monitor temperature, fertilizer (soil conductivity), moisture and sunlight to help keep house plants alive and thriving. 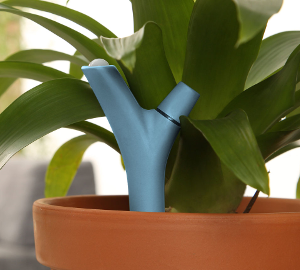 The device is small and stylish so it will not detract from the beauty of the plant. The accompanying mobile app provides insights into the plant’s needs and shows trends and predictions. The device is also capable of sending notifications straight to a smartphone through the app. Take this one step further and enter the data from the Flower Power into a WQData LIVE Fieldbook to keep a full, cloud-based history of plant data. Along with this data, information like plant size, watering schedule and bloom schedule can be entered all at once and kept side by side with photos or other notes. The Flower Power and WQData LIVE Fieldbooks combine to make a powerful, high-tech plant journal.